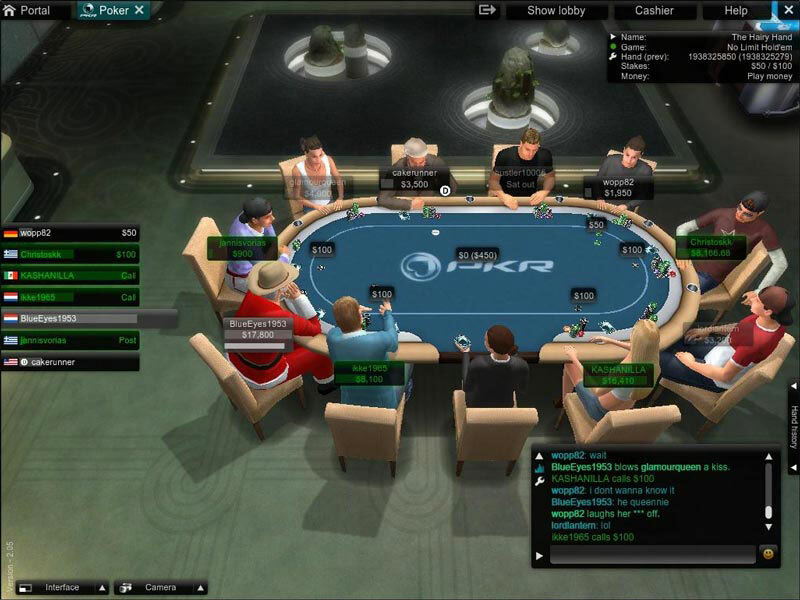 PKR is an independent room that has nearly 1,000 players at peak times and is renowned for its soft games. 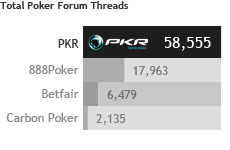 Furthermore, PKR's forums are the centre of a community that enjoys the social aspect of poker. 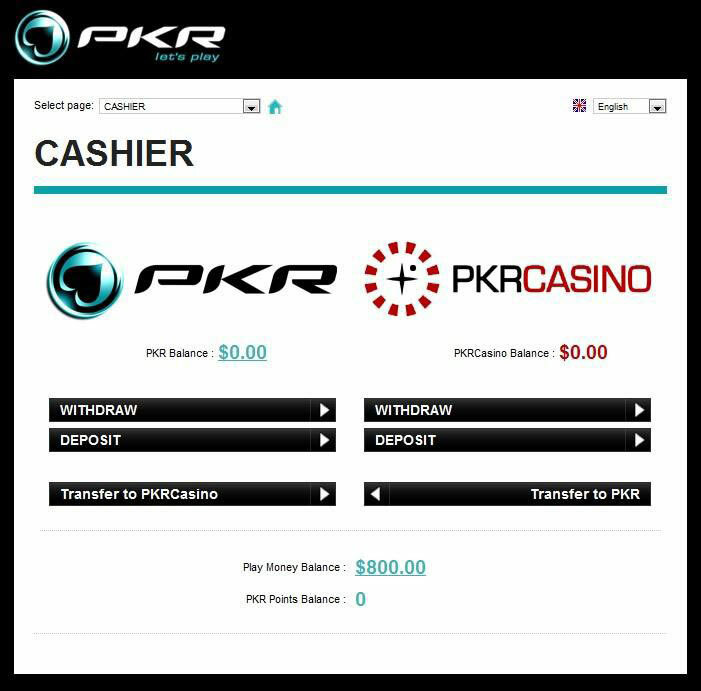 At PKR you'll get 10% rakeback as soon as you rake $25+ in any month. PKR will double that amount to 20% when you reach $150 in rake, and players raking over $450 will receive the maximum 30% rakeback. 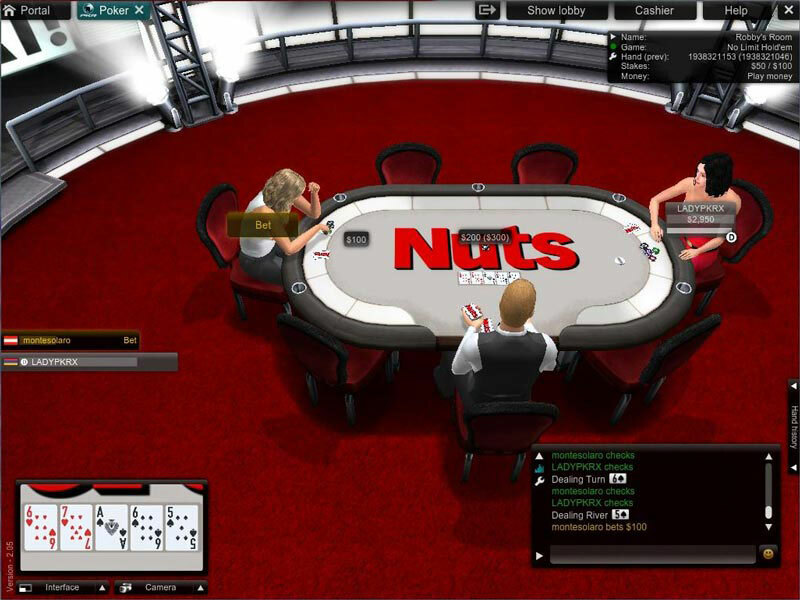 Welcome to PKR, the poker site that is best known for its dazzling 3D graphics and innovative, ultra-realistic looking game play. Now with a mobile app and Lottery Sit & Gos. U.S. players are not currently accepted at PKR. PKR does not offer flat rakeback. However, all players who open a PKR account will receive 0-30% back from the in-house VIP program. For example, if you pay $1,000 in rake one month, you will receive $300 back for your efforts. PKR operates on their own independent network. The founder of PKR is an innovator from the world of computer games, and invented the first 3D graphics accelerator chip in history in the early 1990’s. 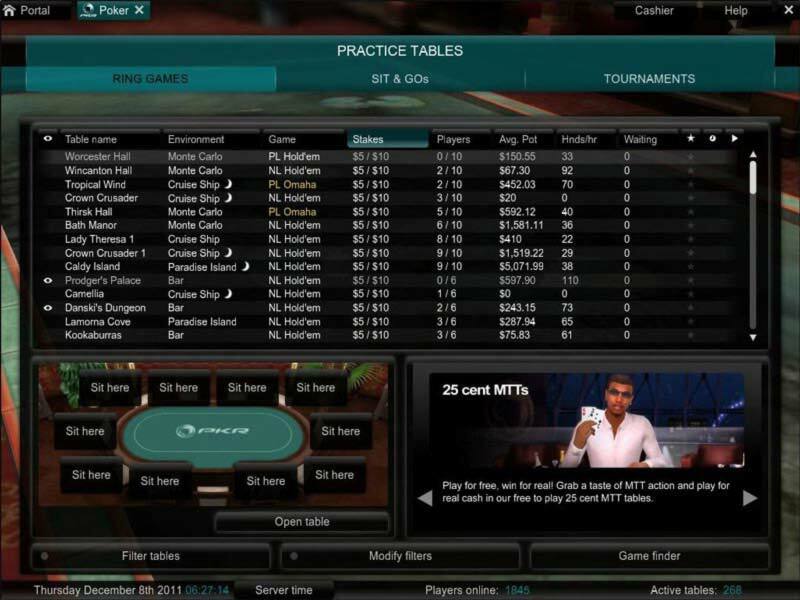 While many other poker rooms have great graphics, PKR puts you into a true poker simulation. Just like a console video game, you can choose from different camera views, create an amazingly detailed and personalized avatar, and even help your bluffs by using built in player expressions. You can have your avatar get mad, drum his or her fingers on the table, or laugh. You can also choose from a selection of chip tricks that your avatar can perform at the table. The Lottery SNG format popular on other online poker sites has now come to PKR. 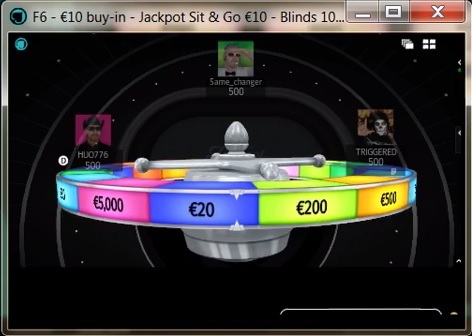 Once 3 players register the prize wheel spins to reveal the random prizepool, which ranges from 2x – 5000x the buy in. Jackpot SNG buy ins range from €1 – €50. Home to the most innovative and visually engaging software in the world.